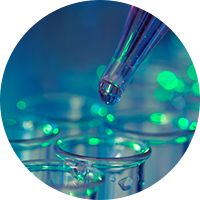 Laval Lab offers a complete range of laboratory equipment in the Biotechnology sector. Worldwide, industrial biotechnology is expanding to encompass several new industrial sectors such as food biotechnology, environmental biotechnology, and increased use in production phases for health biotechnology. Traditional biotechnology was mostly used for fermentation processes, but now we see new domains for biotechnological processes with enzymes, microorganisms, cell culture, genetic engineering, etc. The biotechnology equipment offered by Laval Lab meets or exceeds international ASME standards, and is designed so that each model is easily upgraded to the next production level. Laval Lab offers several models of high quality bioreactors / fermenters, from table top to industrial production scale. With our knowledge of the industry, and choice of models, we can offer the best package to meet your current and future needs. From the first contact we ask pertinent questions and listen to your answers so that we both have a clear understanding of the requirements of your project, including start-up constraints such as maintenance, space availability and budget. Laval Lab has their general contractor license, combined with our knowledge of biotechnology installations; we can deliver turnkey solutions to fit your budget, including complementary products that might be required. Our representative is involved from the design phase, coordinating with on-site personnel and offering made to measure solutions that fit your workspace and project requirements. We accompany our client through each stage of the planning, construction and installation, including floor plans, FAT (Factory Acceptance Test), installation, SAT (Site Acceptance Test) and on-site training. After sales service is provided by Laval Lab representatives. We realize that to stay competitive, Laval Lab must constantly improve knowledge and processes. That’s why we pay attention to all the little details required in project management. Our general contractor license is an important asset and facilitates the achievement of our mandate. Offer complementary products that might be required in the project.